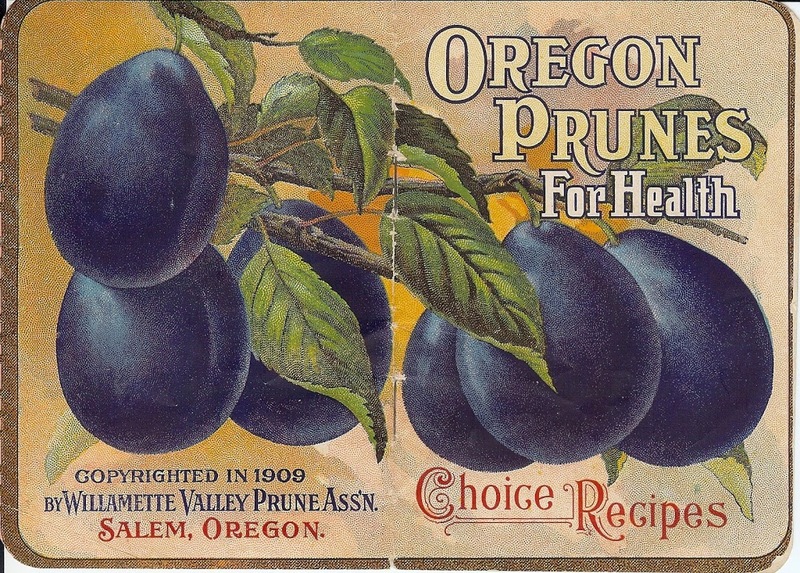 Oregon Rediviva | Oregon Prunes: for Health! I rather like prunes. However, I rarely eat them. As a child, I occasionally encountered pitted prunes stuffed with a nut and rolled in powdered sugar, and those were pretty appealing. Oh, wait a minute—those were dates, not prunes. 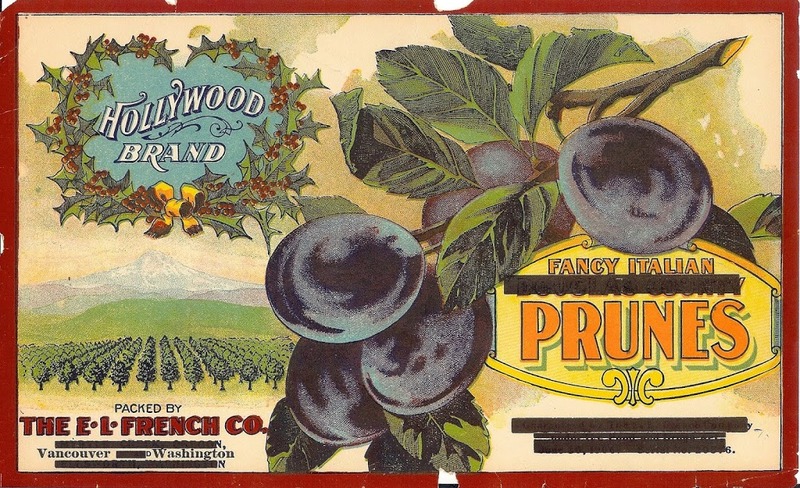 A century ago, prunes were a great big crop in the Santa Clara Valley south of San Francisco. And also in the hills of Clark County, northeast of Vancouver in Washington State. And in the Willamette Valley, especially around McMinnville and Salem and Dallas. 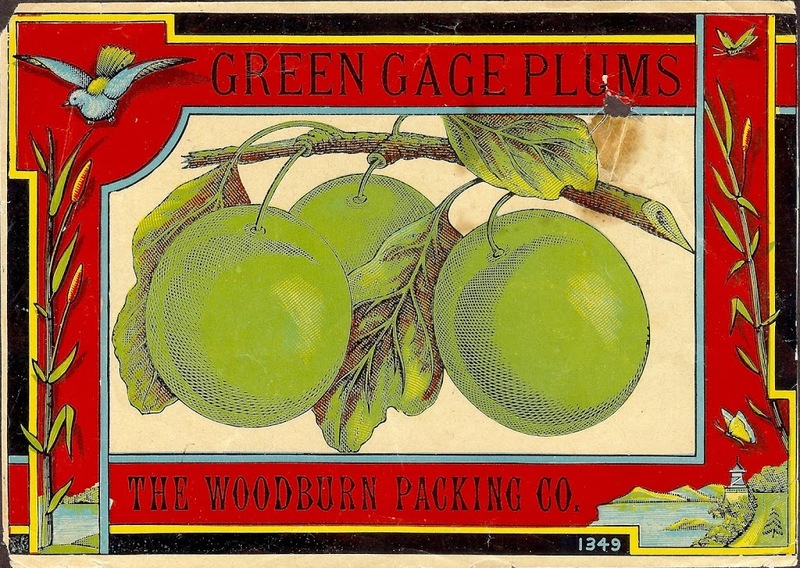 The early twentieth century was a boom period for fruit and nut growing on the Pacific Coast: apples, pears, walnuts, filberts (hazelnuts), berries of many kinds, prunes (nee plums). Beautiful to behold, delicious, healthful fruit! Experiments have been made with prunes to a limited degree. It is quite interesting to note by inquiry how few really eat prunes with a liking for them. A large per cent of those who were questioned on the subject, admitted a distaste for the fruit in any form as a sauce. If they ate them at all it was with medicinal inclination. When sugar coated with the whites of eggs and whipped cream they found them very palatable; as fruit added in the place of raisins in puddings they were agreeable. It has set us to wondering where all the Oregon prunes are to find a market. Certainly they are not for home consumption for a small per cent of Oregon palates crave this mumified [sic] fruit. We regret having to make this statement when prune growing is one of the industries of our state.